I did not quite understand. Are you going to make recommendations regarding trading or something else? 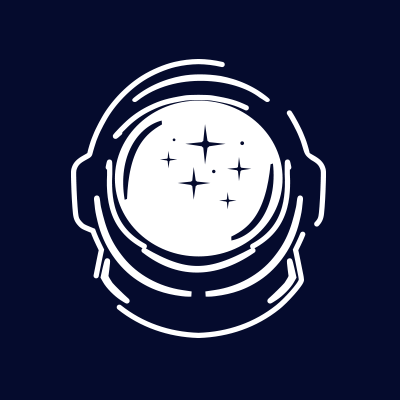 What practical benefits will this token carry? trading. There is no physical paperwork involved, all processes will be done the same day. Can users with RENOVATO to make multiple split investments? Features Renovator on top and will be very much in demand! Is the nominal value of the token interesting ? Good news. Very often companies require a very large amount of data about the participants. I think the project will be a success. I am satisfied with the conditions of the registration procedure. Ideal when all participants remain anonymous. Yes, now the security of personal data is a very important point and many users are repelled by the fact that they need to provide their documents. Yes, with our service you will be able to make such investments, also you can manage and track your investments. Multiple attachments? what exactly do you mean? I do not really understand why. As I understand it, pre-sale starts tomorrow. Let's see what will be the activity and investors and what partners they will be able to attract. I will wait for answers from the team. 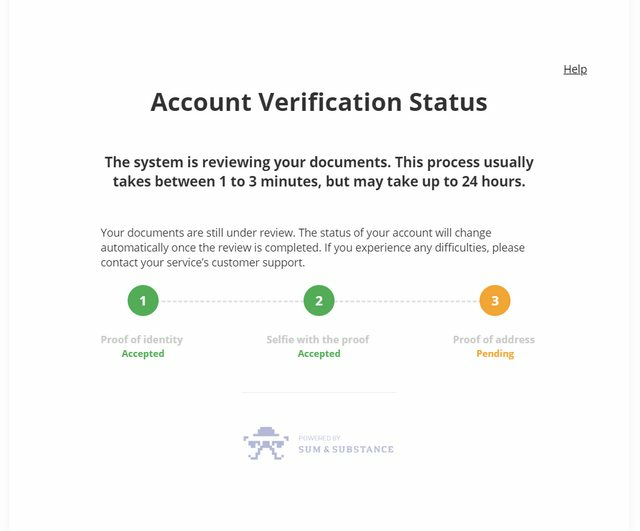 Every major project forces its users to go through the KYC procedure, this is for their own safety. I think that Yes, you can invest in the project for a long time, not necessarily do just I 1 Deposit. We accept BTC, LTC, ETH, yes you can. What type is your token? Utility or Security ? Interesting idea. I think if your recommendations will help the user to earn, then the project will have many users around the world. But it is too early to talk about any plans for the future. at least you need to assemble a soft cap. We see no problems with our website. 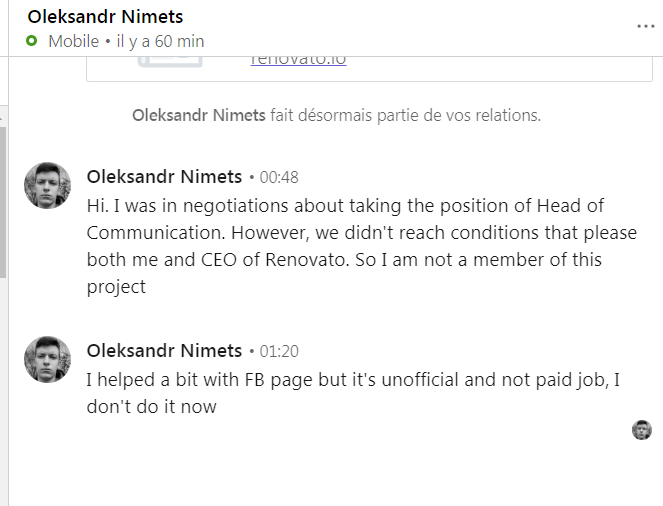 Please contact us via email: token@renovato.io and describe problems you faced in detail. We will contact you in the nearest time to help you to solve these problems. According to statistics, it is to such projects investors have a particular attention, as they all want to earn with your project. 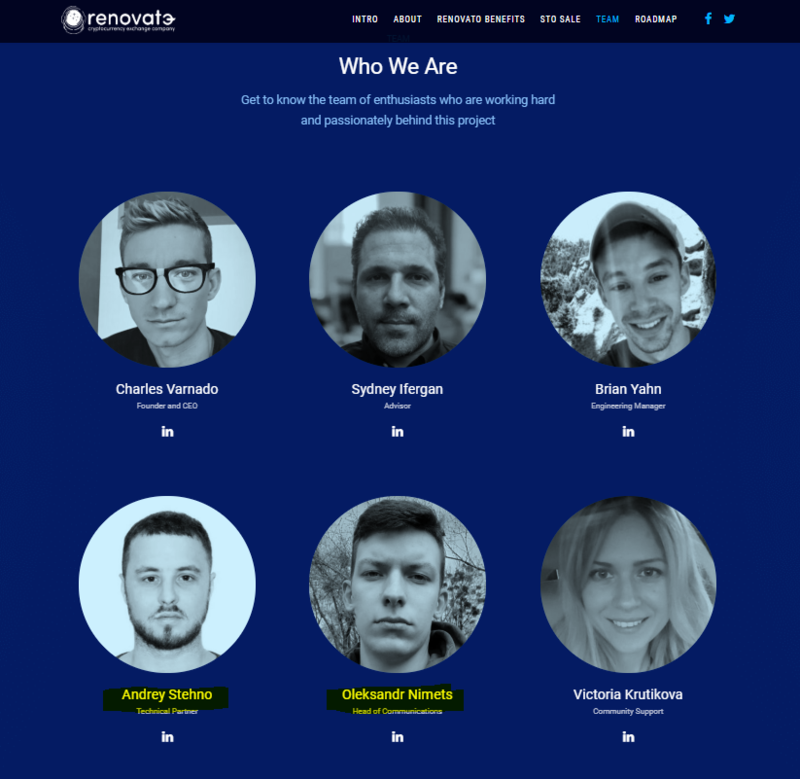 Website https://renovato.io/ works fine. Perhaps these are some local problems with the Internet or browser. Can you explain in more detail what it all means and who can get such a bonus? This could be a good motivation for platform users. 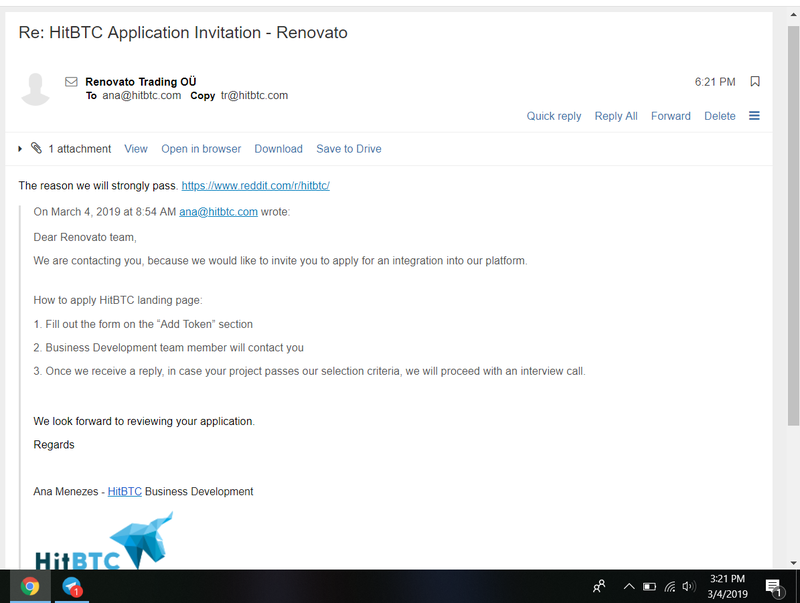 How many tokens of renovato project will be issued? 1,080,000,000 VATO will be issued. Yes, I myself do not understand why this bonus will be used. I would like the team to explain this in more detail. This is probably written in white paper. I would like to understand more about this project. What practical benefits this project will carry and how it will help users to make money. But if there are many experienced traders in the team, this is one of the main goals of the project. I think this will provide a huge demand for these tokens. Sales start today with a 25% bonus. So let's see how investors will appreciate the project. The situation is pretty complicated on the market. Let's see sales just started. Now the situation is aa difficult market, but I think that it can change at any time. Much will also depend on this. You are right, the General situation on the market puts pressure on all projects, without exception. But at the end of February, the commission should decide on Bitcoin. And after that, the market may change. Let's wait. After 2 days, the pre-sale will be over, there is very little time left to buy tokens as cheaply as possible. The offer is really very profitable, everyone loves discounts, but do not lose your head at the same time. No one argues with this, because usually, only the earliest investors receive the greatest profit, but also the risks corresponding. It always has been. Early investors get the maximum return, but they also risk the most. Here everyone should be able to make a decision for himself. 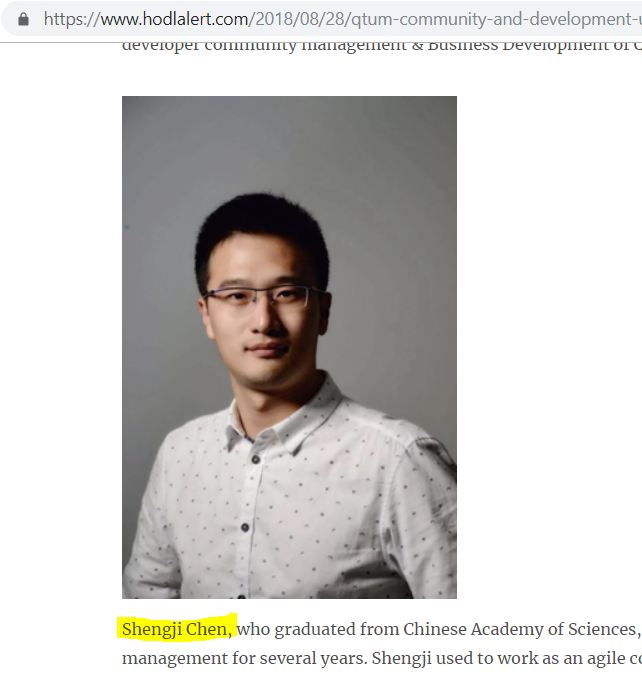 Can we know about the Team Member, I know you are an exchange platform sometimes for the security reason we must protect the identity team from the exchange. But because you doing an ICO Investing, We should know where the money goes & who its people behind the project. Here I agree with you and I think the team should be public. We should also know if the team has experience in the IT field. Security is very important, you need to pay special attention to this to avoid cases of hacking accounts. 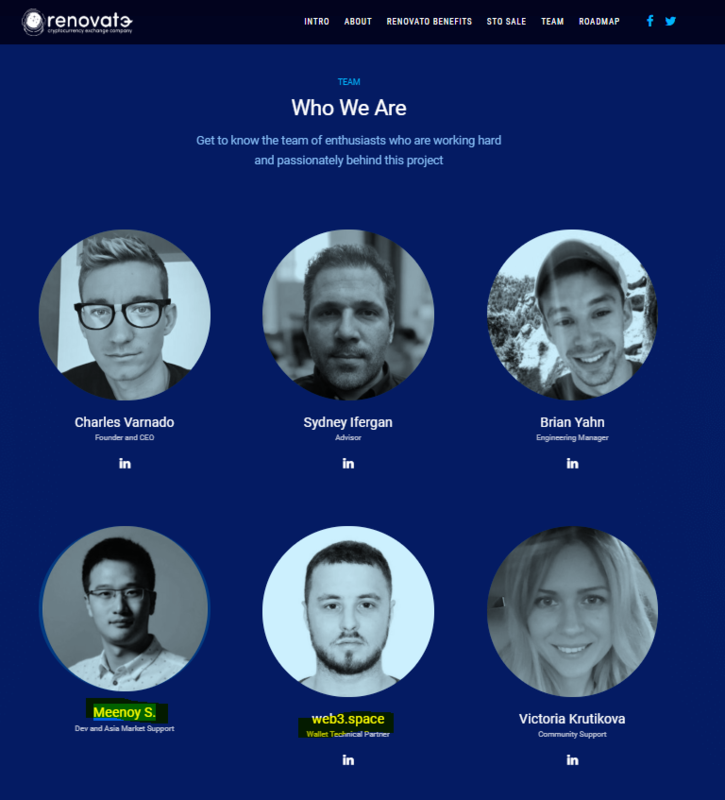 Too risky to invest in this kind of ICO where the information on who is running the project is hidden we have seen hundreds of scam ICO and one of it is they are faking the team composition, who the people are going to get after if they turned to scam, due diligence first before investing on this one. here I agree with you. I think that the team should be as public as possible and also take part in all kinds of conferences. This will increase the credibility of the project and attract large investors. 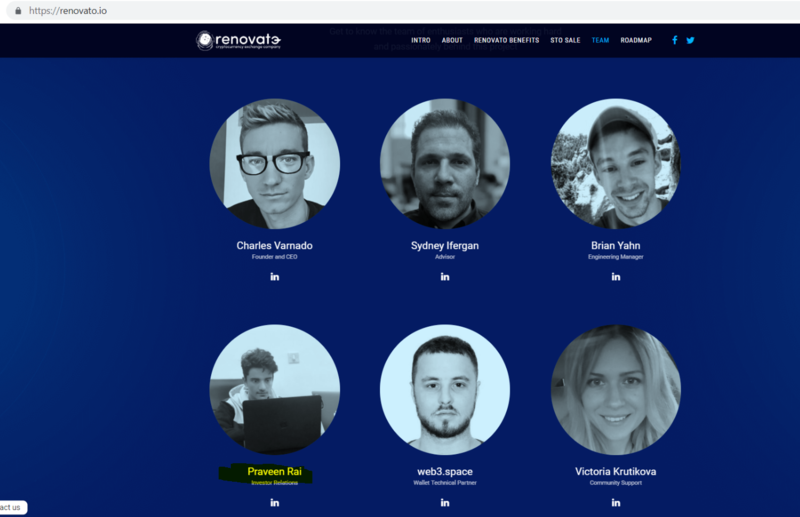 If RENOVATO platform will make crypto trading profitable for users and offer advanced trading functions, then the exchange has all the chances to occupy its niche among other exchanges. Which, btw, is already quite a lot. The competition in this market is huge and you have to show something unique to take the lead in this market. New exchange company doesn't seems to be a compelling tagline. What is it that you have and other exchanges doesn't? If renovato exchange will support cryptocurrencies, fiat, most debit, credit cards and e-wallets, as they write about it in whitepaper, it can attract a lot of users to the platform. I'm interested too. As I understand it is an experienced team of traders. 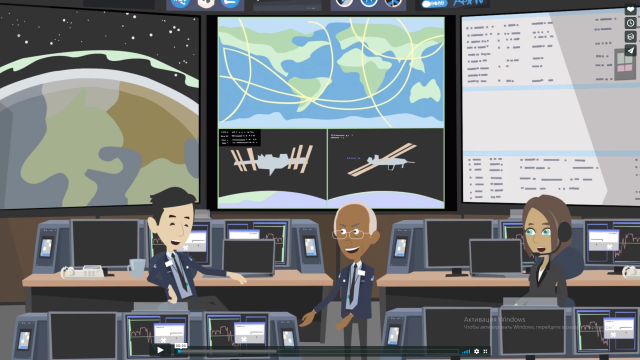 I think they want to make the platform as user friendly as possible. But the competition in this market is huge. It's security token, that's exactly why we have STO. Any investment is a risk, no one will give you guarantees, as there is always a chance not to achieve the stated goals. In addition, the market puts a lot of pressure on new projects. We asked you questions because your picture on the Renovato's website appears to be photoshopped. Your Linkedin profile just has 1 job experience listed. You posted a photo on this thread, but we don’t know if that person name is Charles Varnado. 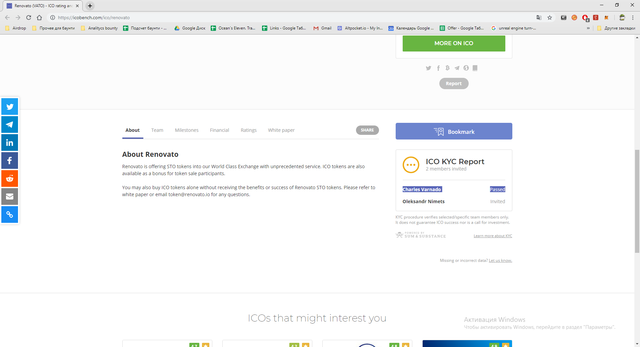 Including a place (https://icobench.com/ico/renovato)where you applied and FAILED KYC doesn’t know who you are either. Also how many projects have you promoted as real turned out as scams or didn't even return anything of value to their coin holders? I'll wait. 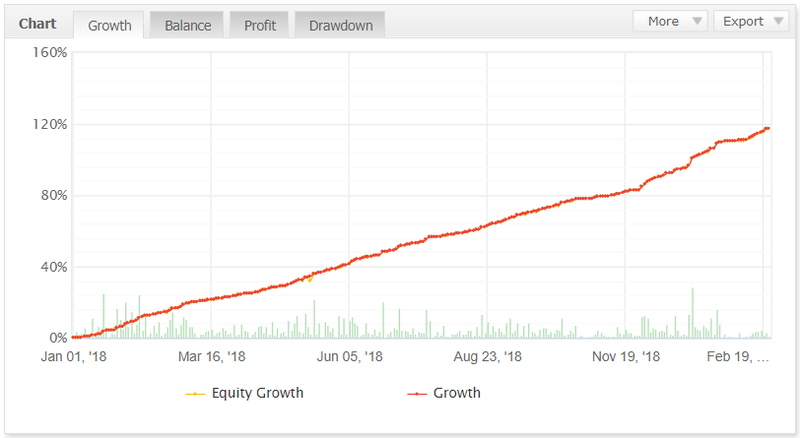 Well the biggest thing, I feel, is that you can follow profitable traders from the start. You can have no experience and yet still be profitable. The trading commissions is a win win from both sides and it fuels our exchange growth further. Also being a STO our token holders have a real stake in the company and shared success among the whole community. 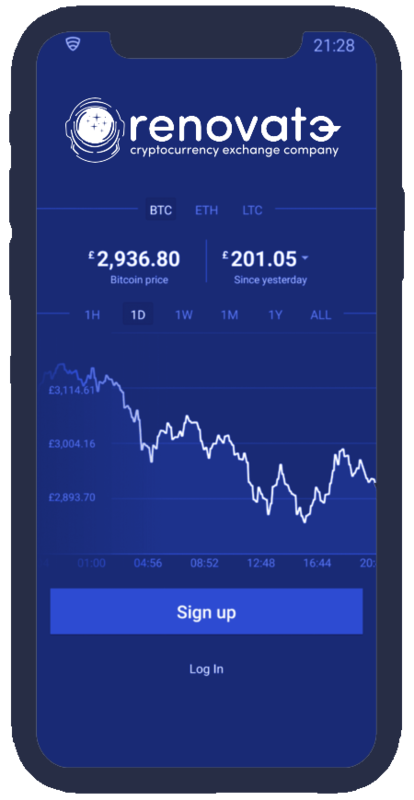 Also we have leverage for crypto and forex as well. You can trade crypto as a CFD (contract for difference) on our platform without risking your cryptocurrency being stolen. Would really like to talk about that more with anyone interested in learning how that is possible. You can literally trade at our exchange and not risk your holdings with CFD's. We dont promote any project or ever did. As far as you and your project, the scam accusation section of this forum has a better index on Google search. Nobody should trust a project that replaces team 3 times or more and the CEO is a jerk. Replaced twice and I'm the jerk? You came on here SCREAMING my project and trading is a scam with NO evidence of anything remotely suggesting that. Like I said time will prove you very wrong with this fake accusation that you've fixated on your mind so much. Can't help with that. Our company is moving forward no matter what you say and make up. Show me the proof where we're scamming people. It hasn't happened and I've returned many token buyers purchases already for various of reasons. You don't come here posting your announcement asking people to fund your project, then declining to defend your project if someone finds something wrong on how you manage your project, you will act like a professional even under pressure because it will reflect on how you manage your company, you have a very poor communication skill, you don't give a threat you are obligated to show documents on the allegation. Usually, a project with a fake team is automatically labeled as a scam, which we have not accused you of a scam yet, but the way you act, we may not need to. Credibility is something that you earn and looks like you are not earning, just losing at this moment. I'm not participating in your fake thread, sorry. Did you ever reach out to him with his telegram name I provided you? You could of answered your own questions...Also I've refused nothing at all, but it so easy for you to say anything you want with no evidence. Show me evidence of scamming and until then your claims are garbage. You have not a ounce of proof to your claims and yet just continue to say it's a scam because your mind says so. You have no credibility here, zero. Show me proof, but you can't because it doesn't existent. After our presale closes I'll come back to you with the results and then in 3 months just to show how bad you're at providing evidence of anything you say. You've gave yourself fake power here and I for one will be very excited to revisit your accusations in the near term. Nothing to hide here yet you have no proof of ANYTHING remotely representing a scam. Show me, show us, you simply can't. I'm not participating in your fake thread, sorry. Did you ever reach out to him with his telegram name I provided you? You could of answered your own questions...Also I've refused nothing at all, but it so easy for you to say anything you want with no evidence. Show me evidence of scamming and until then your claims are garbage. It is not my obligation to prove who that person that you put on your website with a FAKE NAME was. 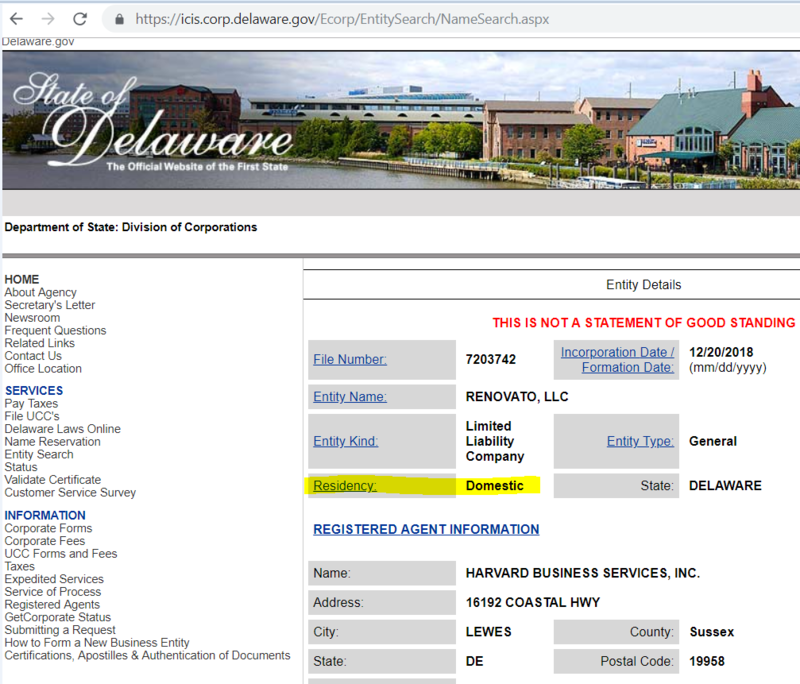 We found him with another name, now, you as a "CEO/Founder" is responsible to prove to your investors that you are honest and your workers are real. So far you failed to be responsible, and we dont believe investors will put their money in a project with an irresponsible CEO/Founder. Still waiting for your proof. Did you actually message this person or just saw the name was different and thought that was enough to support your claim? I gave you his telegram username after all, but I'm assuming you didn't message him because your story would be different and that is where your credibility isn't strong here. He had obviously another name. But anyway, if he was real, why did you replace him? ICOEthics "detective" work isn't very strong when he can't validate any of his claims. Don't be so arrogant and unprofessional. that this is the best project and can become 1000 times profitable to investors. More interesting than the number of tokens sold is the total amount raised: is that somewhere disclosed? But buying a utility token is a bad decision I would say. They are better off waiting until the security token trades on exchanges and buy it from there. This makes me laugh :D the whole team is traveling in a remote location with no internet at all, that is unbelievable. Bounty manager locked bounty ann lol. He also says It is SCAM. At telegram no answer too. Bounty hunters wasted their times. I hope not many investors lost their money.